Lewis Hamilton won a disjointed, crash-plagued Brazilian Grand Prix at a wet Interlagos to close the gap to championship-leading teammate Nico Rosberg to 12 points. Hamilton was the constant in a crazy race, and defeated Rosberg by over 11s to ensure a title shootout in Abu Dhabi. 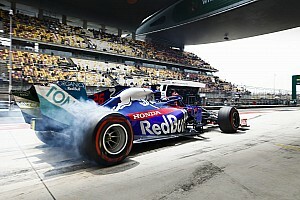 Max Verstappen drove an immense race, passing Rosberg early on but then his Red Bull team stumbled on strategy – putting him on intermediate tyres when the rain then intensified. He stormed his way back to a podium finish with some stunning overtaking moves. The race was red-flagged twice, firstly for Ferrari's Kimi Raikkonen spinning into the wall at a restart, and then after a further aborted attempt to restart under the safety car. The event started without seventh-placed qualifier Romain Grosjean, who crashed his Haas on his way to the grid and damaged his front-right suspension beyond immediate repair. After a 10-minute delay, race director Charlie Whiting declared a safety car start. The wet-shod field was duly led by Hamilton from Rosberg, Raikkonen, Verstappen, Ferrari's Sebastian Vettel, Daniel Ricciardo (Red Bull), the Force Indias of Nico Hulkenberg and Sergio Perez, Fernando Alonso (McLaren) and the Williams of Valtteri Bottas. Williams's Felipe Massa passed Esteban Gutierrez's Haas too soon, and earned a five-second time penalty. After eight laps of safety car, despite some protestations from Rosberg, who was worried about the standing water where Grosjean crashed, Hamilton got a good jump on Rosberg to lead by 1.2s. Verstappen sailed past Raikkonen for third at Turn 1. Further back, Alonso passed Perez for eighth after Perez spun through the final corner. Despite the wet conditions, Renault's Kevin Magnussen pitted for intermediates as the race started, and McLaren's Jenson Button did likewise a lap later. Alonso, the Williams of Bottas and Massa were next in, along with Marcus Ericsson's Sauber and Toro Rosso's Daniil Kvyat. "I'm not even full [throttle] down the straight," said Ricciardo. "If you can do anything, get me out of the spray." While chasing Raikkonen, Vettel spun exiting the final corner on lap 10 and was briefly stranded in the spray facing the oncoming traffic over the brow of the hill. He dove into the pits, and dropped to 19th. By lap 12, Hamilton was three seconds clear of Rosberg, with Verstappen third from Raikkonen and Ricciardo. Sauber's Ericsson crashed heavily on lap 13 at the final corner, smashing the left side of his car against the barriers, and ended up in the pitlane entry – where was narrowly avoided by Verstappen, who pitted for inters. "Aquaplaning," said Ericsson. "Was that someone on inters?" asked Hamilton. "Still way too much standing water." Ricciardo then pitted after a message that the pitlane entry was closed. He was given a five-second time penalty. Verstappen was the highest-placed car on inters in fourth, behind Hamilton, Rosberg and Raikkonen. 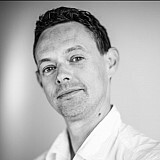 The safety car pulled in on lap 20, with steady rain still falling, but seconds later third-placed Raikkonen spun into the wall on the main straight – being fortunate not to be hit by the following cars, with Esteban Ocon's Manor coming closest. That caused a red flag. Verstappen also came close to shunting, and reported: "I was not even pushing." Hulkenberg's front wing took a huge hit from Raikkonen's wing, part of which became attached. "The aquaplaning is just not fun, these tyres are just not capable," said Hulkenberg. The race resumed under the safety car with all cars on full wets, with Hamilton leading Rosberg and Verstappen. Hulkenberg pitted from fourth with a right-rear puncture, promoting Perez, Sainz, Nasr, Ricciardo and Ocon. Vettel was 14th, following his spin and slow pitstop, and Hulkenberg dropped to 15th. Jolyon Palmer didn't restart due to damage sustained in a hefty collision with Kvyat when he was unsighted in the spray before the red flag. But the race was red flagged for a second time after 28 laps, with the crowd giving a huge thumbs down amid boos. "The track is fine," said Hamilton. "It's not even that wet now. I don't know why we're stopping. This is extreme-wet conditions, this is normal." After another break in the pits, the race was restarted again on lap 32 after a couple more laps behind the safety car with 40 laps to go, and 63 minutes on the clock. 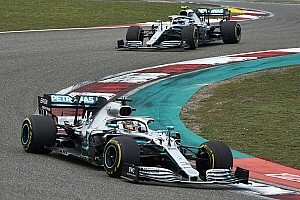 Hamilton backed up the pack, with Verstappen attacking Rosberg into Turn 1 and then passing him around the outside of Turn 3 with a bold move. Ricciardo passed Sainz for sixth at Turn 1 on lap 33. Vettel re-entered the top 10 a lap later, passing Wehrlein into Turn 1 a lap later. Hamilton and Verstappen swapped fastest laps up front, as Button pitted for inters on lap 35. "Struggling on both tyres," he replied when asked how it was going. Verstappen had a huge moment at the final corner on lap 38, slewing sideways, but somehow kept his car out of the barriers and Rosberg behind him. "Heart rate went a big higher there," he quipped. 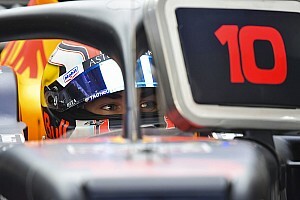 Teammate Ricciardo pitted for inters, and served his 5s penalty, dropping him to 11th. Vettel passed Alonso with a brave move at Bico de Pato on lap 43, and Alonso was forced on to the run-off a few seconds later through Mergulho. "I think the Ferrari pushed me off the track, very clearly," claimed Alonso. Verstappen pitted for inters on lap 44, dropping him to fifth. Ocon and Hulkenberg clashed at the exit of the Senna S in a battle for ninth, with Ocon claiming that the Force India "forced me off the track." Rosberg lost time with a half spin at Turn 12 on lap 45, but just kept it on the track. Three laps later, Massa crashed out, damaging two corners of his car and, like Ericsson, blocking the pitlane entry. That brought out the fifth safety car of the day, with the race order Hamilton, Rosberg, Perez, Sainz, Verstappen, Vettel, Nasr, Alonso, Hulkenberg and Ricciardo – the latter pitting for full wets, dropping to 13th. An emotional Massa trudged back to the pits clad in a Brazilian flag, clapped by all the teams in the pitlane. 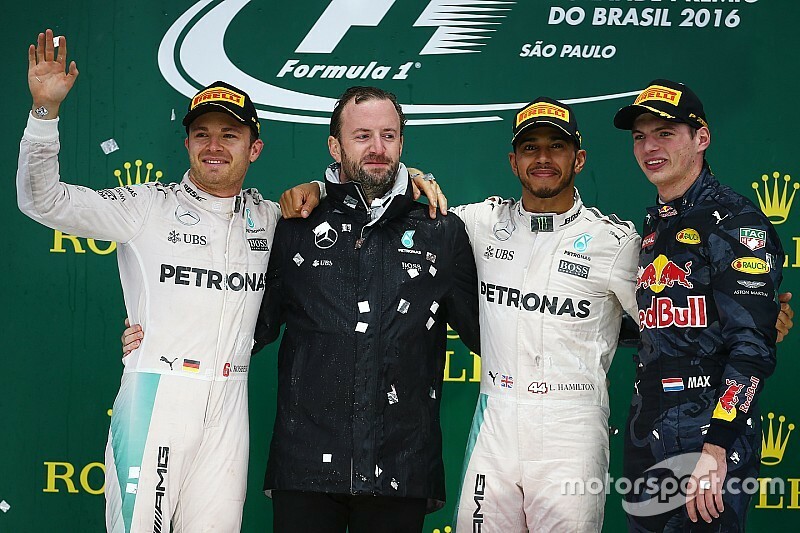 Rosberg reported: "How many more crashes to they want to see? There's so much aquaplaning – especially for those on inters." When asked if he wanted to pit for full wets, Verstappen replied: "We are waiting for a crash to happen like this." Verstappen pitted for wets, dropping from fifth to 16th. Hamilton got a good jump on Rosberg, who had Perez for company, but Rosberg caught him by Turn 1. 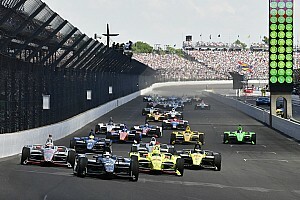 Vettel passed Nasr for sixth, as Alonso spun through the final corner before the restart, rotating to last. Hamilton pulled clear of Rosberg, with Perez a steady third from Sainz, Vettel and Nasr. Hulkenberg passed Nasr for sixth at the Curva do Sol with 11 laps remaining. Ricciardo and Verstappen drove their way back into the points in the closing stages, with Verstappen passing Ricciardo around the outside of Mergulho and then quickly dealing with Kvyat. He passed Ocon around the outside of Bico de Pato, and then dived down the inside of Nasr at Descida do Lago to run seventh. 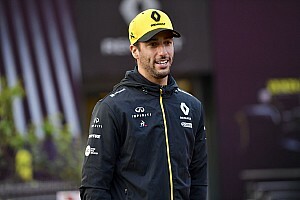 Ricciardo also made his way through, passing Nasr with a great move around the outside of the Senna S.
Verstappen passed Hulkenberg for sixth with six laps to go at Descida do Lago, and then attacked Vettel – passing him with a forceful move at Juncao that put Vettel on the grass. "I was a little bit ahead and he just pushed me off the track," complained Vettel. Verstappen then cruised past Sainz for fourth, setting fastest lap in the process which took 2s out of Perez ahead. He passed Perez on the penultimate lap after a stunning move in which they drove side-by-side through Bico de Pato and Mergulho, nailing the move at the final corner. Vettel passed Sainz for fifth, with Hulkenberg holding seventh from Ricciardo and Nasr. The recovering Alonso stole the final point from Ocon late on, ahead of Bottas, Kvyat, Magnussen, Wehrlein and a frustrated Button. Gutierrez was a late retirement for Haas, and squared up to team principal Gunther Steiner in the pit box, and joined Massa, Palmer, Raikkonen, Ericsson and Grosjean on the sidelines.